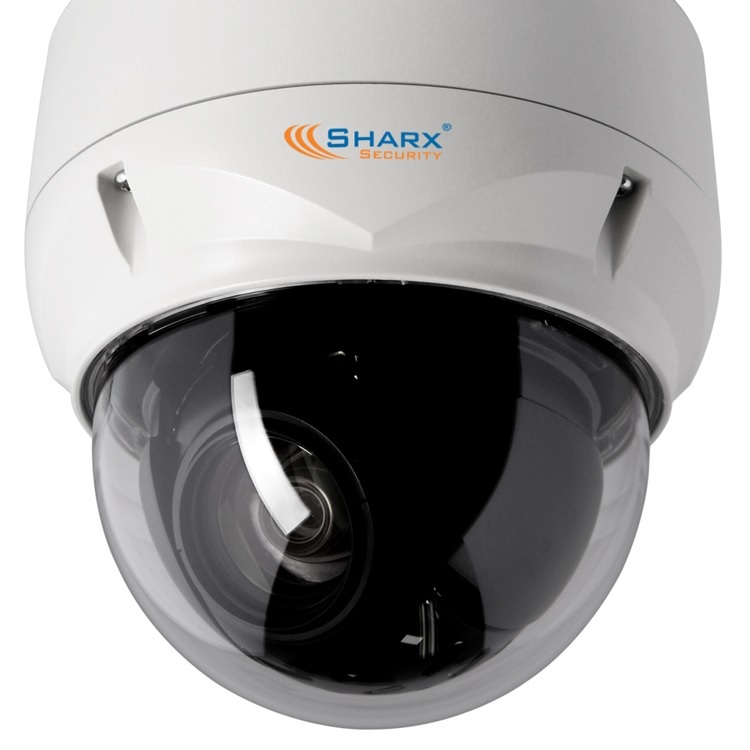 The Sharx Security HTNC4503M is a 5 Megapixel indoor/outdoor bullet style PoE IP camera with a very versatile 3X motorized optical zoom and auto focus. 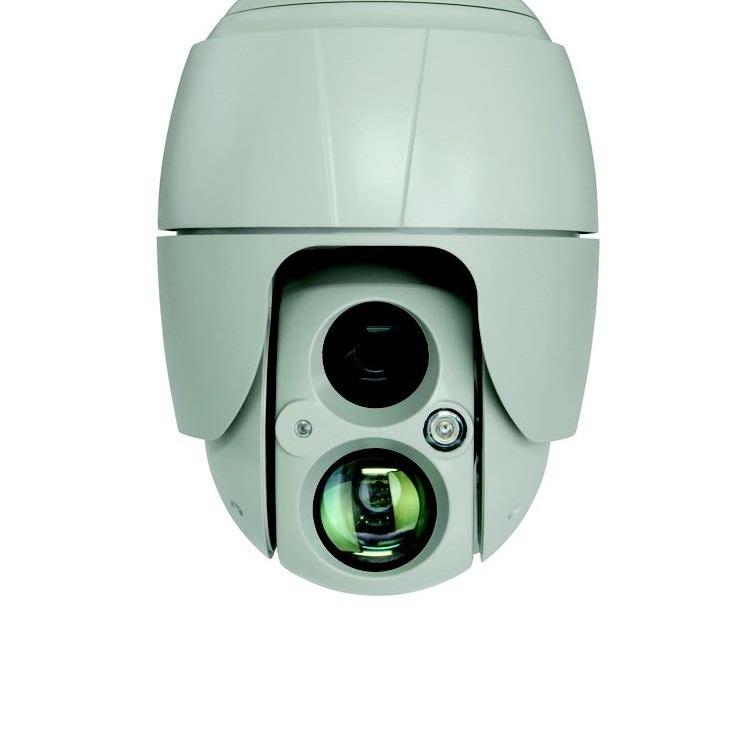 The zoom range covers wide angle through telephoto. 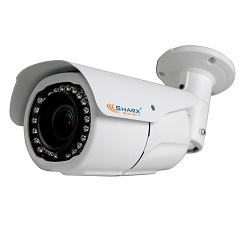 The camera can be mounted directly to a wall or ceiling. 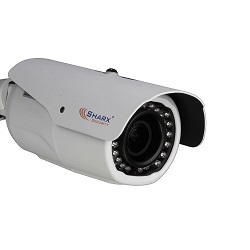 An adjustable sunshade for outdoor use is included. 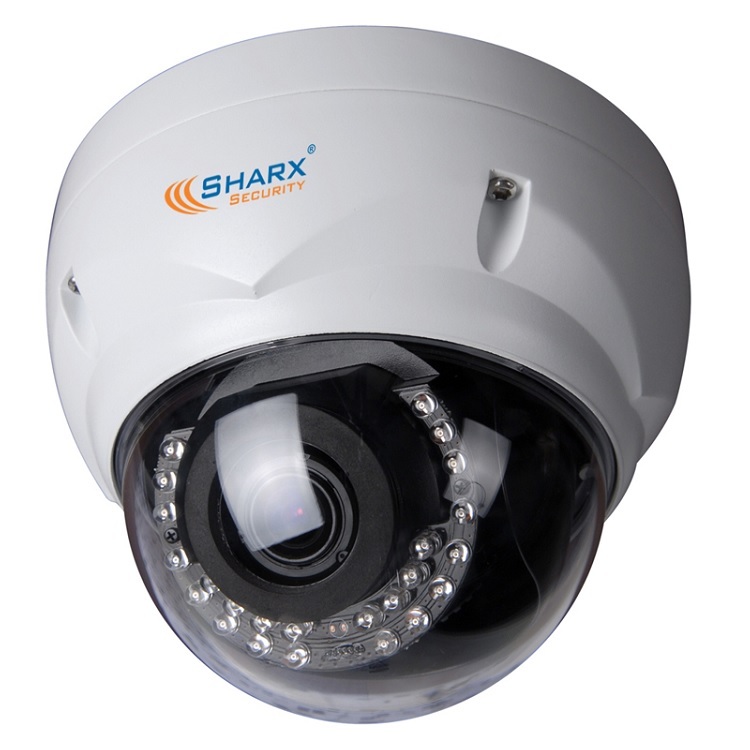 Available optional accessories include a sturdy solid metal junction box HJB which allows all cabling to be completely concealed and protected. 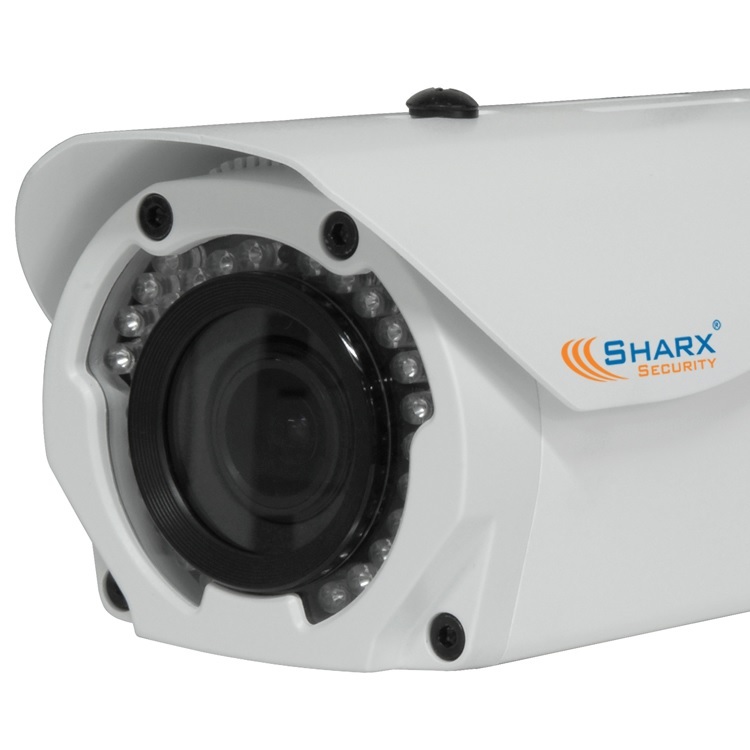 Sharx Security HTNC4503M $399.95 - same 30 fps frame rate at up to 3MP resolution, 15 fps frame rate at 5MP resolution, and same zoom ratio as Axis P1447-LE $749.95 at a much lower cost. 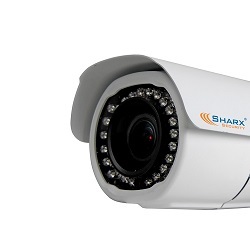 Sharx Security HTNC4503M and competing 5MP bullet cameras such as Axis P1447-LE have remotely adjustable 3X zoom and focus, adjustable IR LEDs, alarm and audio I/O connectors, vandal resistant housings, optional outdoor junction boxes with hidden wiring. Sharx Security cameras also include the adjustable sunshade/weathershield. 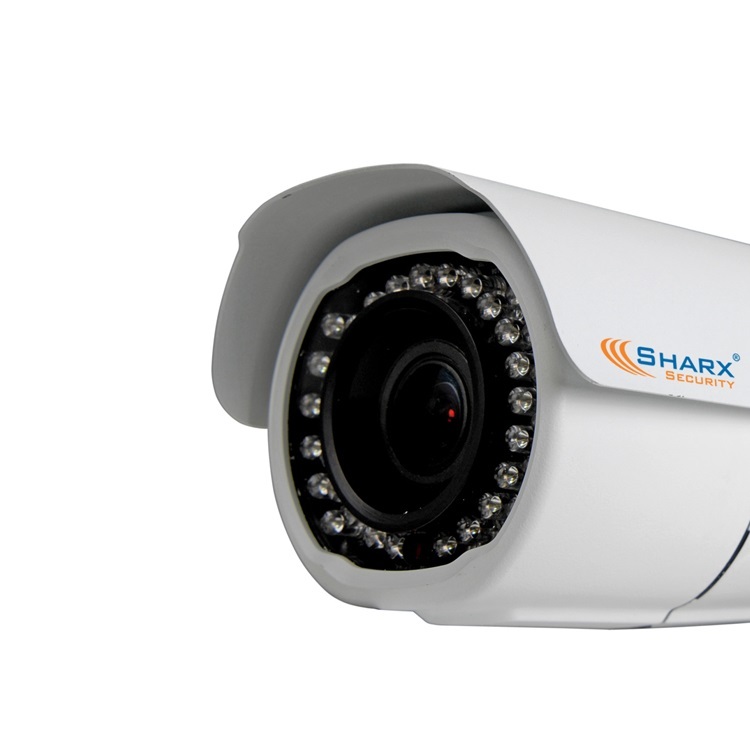 Many businesses and high end residential customers order at least one high resolution model for every 4 - 6 full HD cameras. 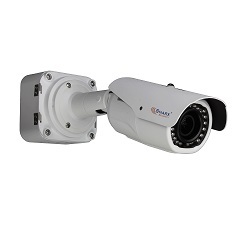 The almost square 4:3 aspect ratio combined with the ability of the lens to zoom out to a wide angle allows a lot of ground to be covered in detail without the need to pan or tilt.